Optimistic Concurrency with Values: When using optimistic concurrency with values, as the name suggests, the current values for the row (for each column) are compared to the older values from when the row was last fetched. If any of the values have changed, that indicates that some other session has made modifications to the row. This is noted as a “no data exception” which the client application must trap and refresh the cursor and to let the end user decide whether they wish to perform modifications based on the new values. This is because the other session already went in and update the record and SQL Server automatically updated this counter. As a result, Session 1 got a no data found exception. This concurrency methodology is used in those scenarios where there is a very little chance of other sessions updating the row in the interval between a read and a write i.e. the cost of occasional rollbacks due to clashes is not that big and a re-read and a re-try can be done and is acceptable to the business. The advantage of using optimistic concurrency with row versioning is that the engine does not have to compare all the column’s before and after values – all it needs to use is the timestamp data-type column value. In ADO, one can specify adLockOptimistic for the LockType…one thing to note is that if the table does not have a column with a timestamp data-type and the application has specified optimistic concurrency with row versioning, the cursor defaults to values based optimistic concurrency control instead. And obviously, one table can have only one timestamp data-type column. In future posts, we will discuss pessimistic concurrency model and multivalue concurrency models. We all are familiar with DML (Data Manipulation Language) triggers which can be invoked after any DML operations (used for update, insert and delete commands). We can achieve auditing functionality using DML triggers but this does not help us in auditing if someone has altered the definition of the tables or dropped the tables etc.. We can achieve this by using DDL (Data Definition Language) triggers introduced in SQL Server 2005. As the name suggests, DDL triggers do not get fired for any DML operations but get fired for CREATE, ALTER, DROP, GRANT, DENY, REVOKE, and UPDATE STATISTICS DDL statements. Some of the system stored procedures which perform CREATE like operations, also fire the DDL trigger. One exception is sp_rename. Sp_rename procedure does not invoke DDL trigger even though it performs the operation of renaming the object. Most of the time, DDL triggers are used to prevent modification in the database or to audit the DDL changes in the database. DDL triggers can be created at the database level for a specific database or at the server/instance level. For creating trigger at the database level, we have to use the ‘ON DATABASE’ clause and for creating trigger at the server/instance level we have to use the ‘ON ALL SERVER’ clause. When created at the server level, it keeps track of DDL changes for any database on that specific instance. Let us create a table first. In the above table, we will record the information pertaining to any DDL operation. Let us create trigger to record the changes at database level. In the trigger shown above, we are using the EVENTDATA() function to obtain the actual text. We will cover more about EVENTDATA() function in future blog,. We have adopted the idea of using EVENTDATA() function from BOL example. Once trigger is in place, we can start testing it by creating, altering and dropping the table. Let us try to create table first. We will also alter it to add a new column and then we will drop it. For all of the above statements, once the statement is executed successfully, trigger will get fired. Let us check our audit table now. From the above result set, we know what command got executed, at what time and by whom. This prevents unwanted surprises during the development phase and in addition, we can keep track of database changes made within the application. Similar to the example shown above, we can also create trigger for CREATE_PROCEDURE, DROP_PROCEDURE event types to audit the procedure changes. Since Oracle runs on multiple operating systems, if you want to develop an auditing script in which you document the OS of the DB Server using PL/SQL scripts (since the rest of the auditing scripts will also be a combination of PL/SQL scripts, shell scripts and WMI scripts (windows)), one can make use of the inbuilt packages. There are various ways of finding operating system of the database server. One of the easier ways is to use DBMS_UTILITY package. This package contains a port string procedure which returns the OS of the database server. Please keep in mind that this is different from the client’s OS (e.g. SQL*Plus session from which we are connecting to the database server). Following is the small code snippet, which displays the OS of the database server. We are running our database on windows server and hence it showed as WIN_NT. In SQL Server 2005, Microsoft introduced the “ALTER INDEX” command. This alter command is used to enable or disable the indexes, re-build the indexes or re-organize the indexes. One can also set specific options like ‘allow_row_locks’, ‘allow_page_locks’ etc. at the index level. In this blog post, we will talk about disabling and enabling the index. Let us first create a table along with some indexes and populate it with some data. Whenever a non-clustered index is disabled, only the access to index is disabled. Optimizer will ignore the disabled index even though your query has the perfect filter criteria in which an index can be used. Also, whenever a non-clustered index or index on a view is disabled, index data physically gets deleted. Execute the following query and look at the execution plan. Plan text indicates that an index seek operation is performed on the table. Also selecting row count for an index will show that there are 3 rows for a given index. Now let us disable the index and run the same queries again to check the plan and to check the row count. Following is the syntax to disable the index. Re-executing above two queries prior to disable command will have following results. Instead of performing an index seek operation on TEST_IND_2, the optimizer performs a clustered index scan operation beause we disabled the index. Also checking the rowcount will result into 0, since the data from the index pages got deleted when we disabled the index. Whenever we disable a clustered index, it disables all the non-clustered indexes of the table as well. Once clustered index is disabled, user can not access the the underlying table data but index definition remains in the system catalog. Another important point to note is, even though user cannot access the data, data still remains in the B-Tree until index is dropped or rebuilt but it is not maintained. Let us disable the clustered index now. Warning: Index ‘TEST_IND_2’ on table ‘TEST’ was disabled as a result of disabling the clustered index on the table. Warning: Index ‘TEST_IND_3’ on table ‘TEST’ was disabled as a result of disabling the clustered index on the table. Now let us try to select the data. Issuing select statement will result into following error. Same message will be displayed if one trys to perform any DML operation. The query processor is unable to produce a plan because the index ‘TEST_IND_1’ on table or view ‘test’ is disabled. Indexes can be enabled using ‘ALTER INDEX REBUILD’ command or ‘CREATE INDEX WITH DROP_EXISTING’ command. Index can be rebuilt online also but we will cover it separately. We can enable individual index on the table or we can enable all the indexes on the table using ‘ALL’ clause. Again one thing to keep in mind is that, enabling clustered index does not enable all non-clustered indexes. You have to enable them individually. Following is the syntax to enable specific index. We can see whether index is disable or not by accessing sys.indexes view. Following is the query to check whether index is disable or not. Universal Data Links or UDLs are a quick way to test out a connection string and prepare a connection string without typing in parameters. Here is how you can go about creating a UDL and then saving it as a connection string that you can use in your applications. 1) Right click within any folder in Windows explorer and select New and then text document. 2) Name it as test.udl. When it prompts you about whether you want to change the extension, click on Yes. On the first tab, is the selection of the different OLEDB providers from which you can choose from. For this post, we will select the Microsoft OLEDB provider for SQL Server. One cal also choose SQL Native Client (SQL Server 2005), Oracle OLEDB Provider etc. depending upon the data source and the type of the application and the application needs. 4) Then click next. You will come to the connection tab. On this tab, you can specify the connection parameters for connectivity to the data source. In the case of SQL Server when using the OLEDB Provider for SQL Server, you can choose between Windows and SQL Authentication and then choose your database as well. For the sake of generating the connection string with the UDL, you can choose to store the password and can test your connection. It is a quick and dirty way to test your connectivity as well to the data source. 5) On the next tab, you have some of the advanced settings like specifying a connection time out. 6) And on the last tab, one gets a listing of all the parameters for that connection string. One can choose to specify additional attributes over here like the ApplicationName, the WorkStationID etc. All this helps when troubleshooting where the connections are coming from since this information will then be reflected in the sysprocesses view on the server side. As you can see above, the connection string is now available for you. This prevents the need for typing out the connection strings and running into typing errors – in addition, this is a quick and dirty way of verifying your connections as well. Following on the footsteps of companies like Salesforce.com, NetSuite etc., SAP is looking to move towards the web-based software market and mak it’s software available over the internet as a service. You can read more on this at the reuters site here. In some of our previous posts, we had given some SQL scripts on how to get the counts of the records in all the tables in a database schema in SQL Server. You can access those posts here and here. In this post, we will give a script that can be used in Oracle to do the same thing. Connect to SQL*Plus with proper credentials and run following PL/SQL block to see the tables and corresponding record count. Here is the output from our schema. There are other ways of counting number of records in the table as well. Like getting the NUM_ROWS column value from USER_TABLES view or getting NUM_ROWS value from USER_INDEXES view for a primary key index. But for that number to be accurate, we have to make sure that statistics are always up to date otherwise that number can be wrong. This is the same as getting the number from the sysindexes table in SQL Server. In one of our previous post, we had covered the scenario of getting a no data found exception when using Bulk Collect in PL/SQL. In this post, we will look into how to handle multiple exceptions when using Bulk Collect. BULK COLLECT construct is used to work with batches of data rather than single record at a time. Whenever we have to deal with large amount of data, bulk collect provides considerable performance improvement. ‘Bulk collect..into’ clause improve performance of the select statements. To loop through records collected using bulk collect we can use FORALL syntax. FORALL clause works with DML statements in batches and much faster than the regular for loop construct. In this blog post, we are going to talk about FORALL exceptions with the %BULK_EXCEPTIONS attribute. This attribute allows us to continue with the process, even if run into any DML exception for some record in between. Basically this mechanism allows us to complete the process without stopping if any error occurs. All exceptions raised during execution are saved in %BULK_EXCEPTION attribute. It also stores a collection of records similar to BULK COLLECT. It has two fields. • %BULK_EXCEPTIONS(i).ERROR_CODE holds the corresponding Oracle error code. • %BULK_EXCEPTIONS(i).ERROR_INDEX holds the iteration number of the FORALL statement for which the exception was raised. • %BULK_EXCEPTIONS.COUNT holds total number of exceptions encountered. In order to bulk collect exceptions, we have to use FORALL clause with SAVE EXCEPTIONS keyword. Let us see with the example. Connect to SQL*Plus with proper credentials and run following query to create the table and populate it with some data. 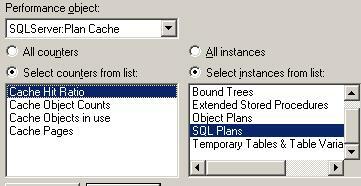 Run following PL/SQL block to populate the table and later on update it to see the exception behavior. We have created this PL/SQL block based on the example shown in Oracle manual. If you execute above PL/SQL block, it will display following information. It may be different for your scenario as data will be different. From above results we know that our iteration #6 and #9 failed because of the exceeding column length. This is really useful feature for error handling when we are dealing with larger data set. Instead of exiting at first error, we can loop through entire set and then work with the erroneous records later on. In one of our previous post, we had covered the importance of using bind variables (parameterized queries). In response to that post, one of the readers asked whether it is possible to look at what is available in the memory for the RDBMS. Yes, it is pretty easy to get to that information. In this post, we will cover how to do that in the case of SQL Server 2005 and then will cover Oracle and DB2 LUW in future posts. In the case of SQL Server, memory is used for buffer cache (storing the data) and procedure cache (storing the query plans). The cache is stored as 8KB pages (Oracle has more options on this size). Let’s see how we can find out what is in the procedure cache and how often those plans are getting used. If you see the output from above, you will see CACHESTORE_OBJCP, CACHESTORE_PHDR and CACHESTORE_SQLCP as the top three cache related enteries. Each has it’s own importance. CACHESTORE_OBJCP represents the compiled plans for stored procedures, triggers and functions, CACHESTORE_SQLCP represents cached SQL statements and batches that are not part of stored procedures/triggers/functions and CACHESTORE_PHDR represents the parsed SQL text. On our test system, we have a few stored procedures that are used by the test harness and there are a lot of dynamic SQL queries that are fired off by the test application that uses an ORM layer. That is why the count for CACHESTORE_OBJCP is 46 and CACHESTORE_SQLCP count is 305. One can look at the output and see how much space is being occupied by different plans. Since SQL Server does not provide a configuration option to put a cap on the procedure cache, if the application is not using parameterized queries, you will see this cache to be blotted. Hopefully, like Oracle, Microsoft can also provide a configuration option in the future to keep that in check – of course, there is no alternative to a well designed application however, as consultants brought in to tune the environment in production, re-design or fixing the fundamental building blocks of the application is rarely an option that we have.